CubeX P8.9 is fit for Cosplayer, customized design, using our CubeX P8.9 can be less cost and less lead time, big printing area, high resolution, fit for video tool design, using assembling and coloring process make cosplay wonderful. 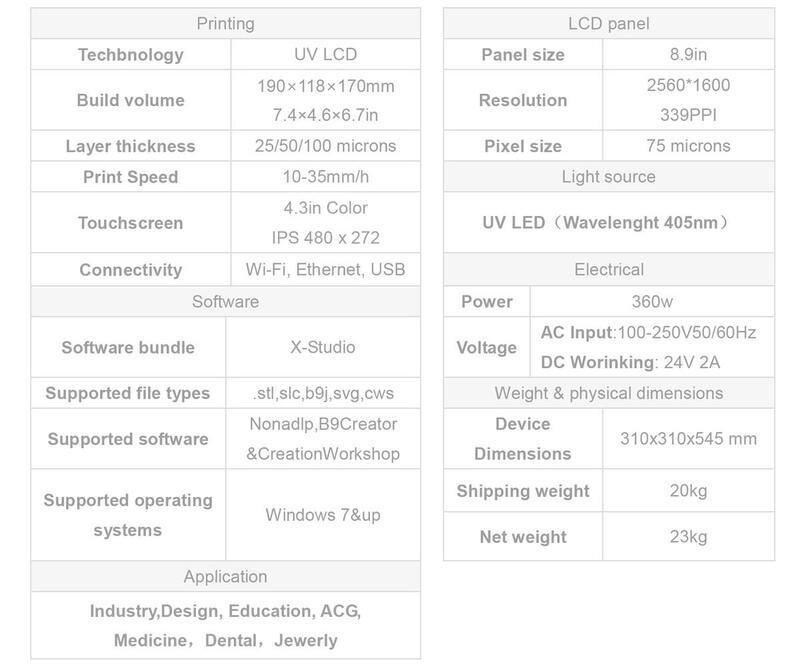 Highest cost performance Desktop LCD 3D printer,Professional and Affordable. Outside strong cartoon, inside model EPE and foam, 4pcs use strong pallets. Normally send by air, accept to use UPS/Fedex/DHL/EMS if collected.